As lawyers, we take an oath to steadfastly defend clients’ interests and advance the public good, all while upholding the integrity of our legal system. Professional competence then, requires that we hold these twin obligations — to clients and society as a whole — in the same esteem. However, there is a unspoken third duty that requires equal stead. It is the discharge of this third duty that equips us with the skills we need to fulfill the totality of our professional responsibilities. That duty, is to know and care for ourselves. But, That’s Not What We Teach Students. There is an explicit and implicit curriculum in law school. The explicit curriculum involves training in legal research, persuasive writing, and oral argument. The implicit curriculum comes in the form of things that are not spoken about but tolerated — sleep deprivation, poor nutrition, a lack of physical activity, impersonal relationships, as well as the use of stimulants and depressants. The most powerful endorsement of self-abandoning responses to stress manifests not in the expectation that students meet the demands of a legal education, but in the complete omission of wellbeing practices that support students in doing so, within the curriculum itself. As a result, crucial life learning about to how to handle stress and how to abide by ethics and values during stressful times is privatized as “up to the student” or pathologized as necessary “only for those who suffer”, rather than conceived of as the necessary and noble work it is. The unintended lessons then, are in self-abandonment when confronted with stress, suppressing conscience as a response to injury, and shutting down awareness as a means of preserving the status quo — all of which have implications for the richness of our client advocacy and vibrancy of our mental health. Law schools are not alone. The entire liberal arts model of education has been pushed through an ideological funnel so jagged and narrow, only professional training has spiralled out the other end. What’s missing is instruction in how to discover who you are, consciously choose the values and ethics you will live by, and be true to yourself in the midst of life experiences that will actively dissuade you from doing these three things. What’s missing is an education in how to be a whole human being. 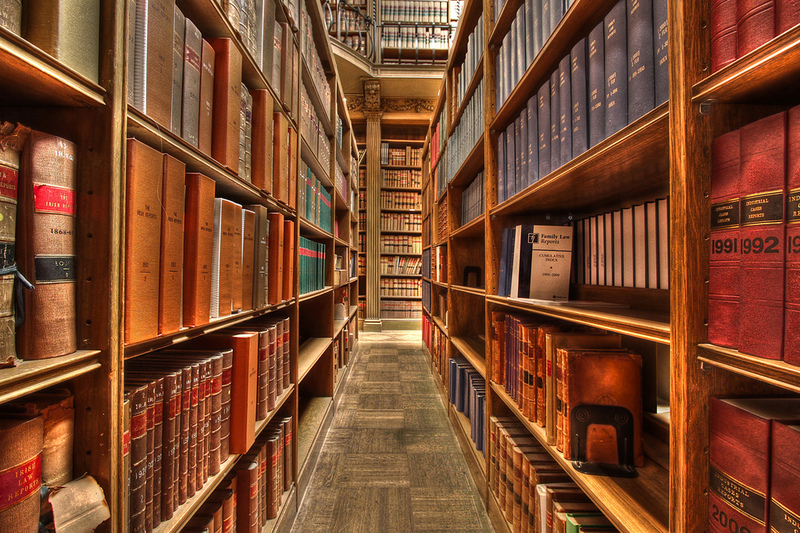 Where have the humanities gone? Last year, North Americans spent over 40 billion dollars on personal growth products and services. This astounding statistic represents many things — affluence and the commercialization of mentorship to start, but it also signifies a mass effort to privately acquire the life skills we do not learn as youth and must possess in order to thrive as adults. 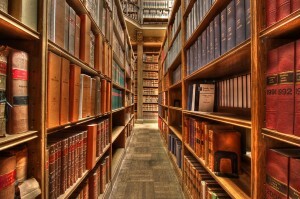 In the absence of training in how to fulfill our obligations as legal professionals, and in the presence of competing pressures to abdicate non-fiduciary responsibilities, law students can begin to unconsciously situate client interest at the top of a hierarchy in which nothing else matters — be it professional ethics, the public good, or their own wellbeing. That’s a problem because creating sustainable value for our clients amidst the most dire economic, social, and environmental challenges the world has ever known, requires legal innovations that account for multi-stakeholder interests — not only in negotiations but in the form of new business models, technologies, products, services, and political arrangements. Lawyers without the capacity to draw on resources such as empathy, creativity, and emotional resilience, in addition to intellectual prowess, are unlikely to be the source of that innovation. In the language of economics, getting the prices right, such that they reflect the full social, environmental, and financial costs of production — is necessary to bring the best products to market. When prices are inaccurate, inferior products persist. Similarly, seeing things as they really are, rather than as we’d prefer they be or always assumed they were, is a necessary quality of mind for creating laws and legal practices that best serve society’s needs. This is not to say there is no demand for ruthlessly adversarial lawyering, only that there is also a demand for holistic approaches to conflict resolution and value creation. At its crudest, the art of lawyering involves solving one problem without creating another– for clients, the legal system, society as a whole, and practitioners themselves. However, the systems thinking that produces holistic solutions, rather than negative externalities, is a product of a mind in which the left and right brain faculties are balanced, in which awareness, imagination, and compassion are as accessible as rational thought, professional protocol, and self interest. This interplay between mental faculties is perhaps the most underdeveloped skill in law schools. And yet, it is just such an interplay that uplifts lawyering to its boldest articulation — the power to heal, empower, and enrich the communities we serve. Today, 1 in 5 Canadians will be diagnosed with a mental health condition — making mental illness the leading cause of workplace disability across the country. Law students are four times as likely as citizens in the general population to suffer from mental illness. In fact, the suicide rate for lawyers is six times the national average. Last year, the presidents of both the Canadian and Ontario bar associations publically disclosed lengthy battles with depression in an effort to inspire a more honest conversation about the need for mental health supports. This month, Allan Rock, himself a lawyer and former federal Minister of Health and Minister of Justice, shared his own story of overcoming crippling anxiety, the symptoms of which first appeared during university. Law students are not alone. In Canada, suicide is the number one cause of death for doctors under the age of 35. Among residents, 50% report being so burnt out they no longer feel they can work effectively with patients. In fact, the Resident Doctors of Canada recently modelled its resilience curricula after that of the Canadian Armed Forces. Why? Because post-traumatic stress disorder is on the rise among veterans, just as it is among our nation’s doctors, paramedics, firefighters, and police officers. Pedagogy is a social determinant of mental health. On admission, less than 10% of law students suffer from depression. That figure climbs to 27% after one semester, 34% after two semesters, and 40% at graduation. Add to that the professional hazard of on-the-job trauma, and we’ve a lineage of lawyers unprepared to navigate the emotional aspects of their work. Such hazards may be higher in certain practice areas than others — criminal, family, and refugee law for instance, where lawyers witness families being torn apart by everything from armed conflict and sexual abuse, to marital breakdown — but commercial law carries with it its own hazards as well. Whatever the trigger, lawyers who might otherwise make meaningful contributions to the legal system are leaving the profession, or adopting an armour of cynicism when confronted with their responsibility to better address clients’ unmet needs for a user friendly experience. This is not to suggest law students are not up to the task of legal work, only that the entire legal system, along with our families and communities, are better served when lawyers’ nervous systems are not involuntarily locked in alarm state. Being held together by only our stress is a form of conditional stability. And conditional stability is a weakness, not a strength. In law, as in life, there are certain tasks for which stress can be a motivator and for which the sympathetic nervous system (fight or flight mode) must be activated. However, there are other tasks, for which the parasympathetic nervous system (rest and digest) must be employed. What the world needs are lawyers who can move freely between those states, and do so at will, amidst the urgency of their work. I use the term life skills because the professional skills that result in ethical lawyering, along with a lasting competitive advantage, are the same personal skills that produce abiding wellbeing. Those skills include: the capacity for objectivity, or having a sense of self apart from our life experiences and reactions thereto; wisdom, or the ability to see options amidst obstacles and the capacity to discern which of the two to honour at any particular time; resilience, or being able to heal from trauma; commitment, or the talent of persevering in the face of hardship; and finally, being connected to something greater then ourselves — whether that’s community, nature, or the divine. This type of life learning, whatever form of culturally appropriate tools it comes to you in — traditional knowledge, scripture, therapy, or continued education — is both the greatest gift we can give ourselves and a human need as basic as food and water. Severing such lessons from the pedagogy of law is a misstep. It is injurious to steward students into a service profession, without a conversation about the importance of fulfilling the responsibilities they have to themselves, not in lieu of meeting their professional obligations, but so that they are best equipped to do so. Ethics are a product of the ideologies and epistemologies we find a home within. Yet, ways of knowing rooted exclusively in left brained faculties such as reason, approximate only a partial understanding of reality and thus, a partial value offering to our clients. We depend on right brain faculties to give meaning to our logic. It is the knowing born of empathy or the lack thereof, alongside our own sense of emotional abundance or scarcity, that shapes our operational beliefs around what’s fair and good, or unfair and undesirable. Operational beliefs are the beliefs that influence the choices we make when we think no one is watching. The narrower our epistemologies, the narrower our perspectives and beliefs. Partial perspectives, whether we are conscious of them or not, and whether rooted exclusively in left or right brain faculties, lead to scenarios wherein irrational choices can be rationalized over and over again, until they result in the implosion of the very entities they seek to serve. This holds true whether those choices have to do with how we approach client advocacy, professional ethics, or stress. A few years ago, when questioned about the ethics of advising the United States government on how to torture prisoners without violating anti-torture laws, a deputy Attorney General famously suggested the task did not pose any ethical dilemmas because ‘legal opinions have never caused anyone any injury’. This statement can only be understood as cognitive dissonance, and cognitive dissonance is not a moral designation, it is an abdication of responsibility for the impact of our choices on others and the true character of our life’s work, as well as a tacit endorsement of the morality our decisions as lawyers imbue the world with. This is precisely the sort of thinking that leaves 15 year old Omar Khadr in Guantanamo Bay, places Aboriginal children in residential schools, and mortgages away the ecological future of our nation. Of course, educating for life skills does not guarantee students will make the best choices at all times, only that they will be better equipped to do so than they are now. In Indigenous legal traditions, laws are passed down as instructions in how to live a good life — a life in which all relationships are in harmony. Contrast that with common law traditions, wherein the separation of spirituality and state has had the unintended consequence of removing questions about who we are or how to be human from public discourse — questions each of us must answer, whether we do so through the lens of faith, agnosticism, or atheism. The direct result of failing to ask these questions, both as professionals and as a polity, is decay — a moral, political, social, and environmental erosion that leads to reduced functionality, an increase in dysfunction, and collapse. This unconscious erosion begins with a rupture in our relationship with ourselves, spreads to all our other relationships from there, and from those relationships back to us. Changing how we treat each other and how we treat ourselves outside the bounds of written law, necessitates lessons in self-accountability, or the capacity to be accountable to ourselves and for ourselves — even when no one is looking. This is the crux of an education in life skills — to discover a deeper self, to listen to the wisdom of that self, and to abide by that wisdom in the face of obstacles. In many therapeutic, philosophical, and faith traditions, the concept of self is synonymous with the ego, with falsehoods internalized through years of unconscious conditioning, or with an innate flaw. In these traditions, to do a good thing or be a good person one must become selfless. It’s no surprise then, that many of us resist self examination for as long as possible, fearing we won’t like what we see if we slow down long enough to look. In such paradigms, the values, morals, and agency we seek to transform our lives and societies are imagined to reside outside ourselves — resulting in a search with neither destination nor direction, only momentum. “As long as we are identified with sensations, feelings, and thoughts, it is as if our sense of being were sewed onto them. Therefore they can submerge us, control us, limit our perception of the world, and block the availability of all other feelings, sensations, desires, and thoughts. Identification is what happens when we lose ourselves to any aspect of the human experience — from stressful deadlines, fear, and anxiety, to past traumas, hatred, substances such as alcohol, or the death of a loved one. Dis-identifying, however, does not mean being unfeeling, becoming amoral, or giving up cherished aspirations. Rather, dis-identification is the means by which we regain the perspective necessary to work through difficult emotions without becoming overwhelmed. In her revolutionary book Desperately Seeking Self, Viola Fodor boldly states that mental illness is not a problem, but a symptom of the problem. For Fodor, the real issue is that we have not learned how to access a deeper self and the associated states of being necessary to transcend our psycho-spiritual challenges. In place of such skills, we can fall into the trap of compulsively identifying with our worst life experiences, false beliefs we’ve internalized about those experiences, negative self-talk, and corrosive feel good strategies. For Ferrucci and Fodor, freedom from mental illness is cultivated not by having a perfect life, pretending the concepts of right and wrong are illusions, or that we do not have a responsibility to remedy injustice in the world, but by developing a sense of self independent of what is happening in our lives. Here, the work of personal growth is not about replacing negative thoughts with positive ones. Rather, it involves suspending our active thinking, deconstructing irrational beliefs that hinder our potential, as well as our perspective, and tapping into a wholeness previously not known. From there, our awareness is free to observe the full contours of each aspect within our consciousness, and their relationship to each other, so that we can transform them if we choose. By awareness I mean the reservoir of insight we are able to draw on to appreciate underlying dynamics in any situation — be it related to our own patterns of being, those of others, or the systems we operate in. This type of knowing is separate from the intellectual awareness of cause and effect. It delves into the realm of unconscious motivations, making the invisible visible and the visible relevant. When our awareness is compulsively identified with a particular aspect of reality, things that have little or no value often take precedence over the things we value most. Consider the notion that individuals always make rational choices to maximize self interest, or preserve physical, mental, social, environmental, and spiritual wellbeing. Decades of research and common sense tell us that, in practice, we often make choices that produce short term gain and long term suffering, rather than short term discomfort and long term benefit. If you have ever struggled to follow through on a life giving promise you made to yourself — to eat nutritious foods, smoke less, or exercise more — you will know what I mean. To make such changes, we must often draw on deeper ways of being, thinking, and valuing. That’s why adhering to our real needs and issues as human beings, is the first step toward the self-accountability necessary to fulfill our obligations as legal professionals. This in turn, is why law schools should be a safe space for truth telling about the gap between where we are and how we are meant to be living. Many of us learn to deny our values, ethics, and conscience, as a response to stress, injury, pain, and discomfort. This happens acutely during traumatic or emergency situations, where shutting down unnecessary mental and emotional faculties helps the body move into alarm state, but it also occurs through a kind of psychological osmosis, as we absorb false messages over time – messages we begin to pay more attention to than reality itself. Examples include falsehoods such as conditional self-acceptance or performance based esteem, conditional self-love or conventional attractiveness, and conditional happiness or materialism. Other implicit messages include the notion that knowing ourselves isn’t necessary to know what our clients need, and the idea that self abandonment is a measure of valour. In place of healthy coping skills we’ve not yet learned, we also begin to use what Freud termed defense mechanisms, or strategies to reduce the anxiety associated with having an awareness of thoughts that make us uncomfortable. Carl Jung expanded on Freud’s work, arguing that increasing our capacity for self examination, by acknowledging uncomfortable truths in lieu of masking them, was the means by which we could become masters of our own fate. Common defense mechanisms include denial (about the extent of our mental health challenges), rationalization (that everything in our lives is fine but for one area that is out of control), blaming (the legal system for our conduct within it), projecting (our insecurities onto the motivations of others), internalizing (negative or traumatic experiences), regression (to less mature ways of being), repression (of troubling information), and emotional insulation (so that we grow numb to our pain and the pain we cause others over time). Not only do these strategies produce poor mental health in individuals, when multiplied, they function the same way at the level of societies. An instructive example comes from eco-feminist Val Plumwood, who delineated the ‘logic of colonization’. This logic sets out the discursive strategies used to facilitate discrimination in any form — strategies that depend entirely on the defense mechanisms noted above. For Plumwood, all relationships of oppression are characterized by a dynamic in which an oppressor attempts to benefit from the services of a marginalized ‘other’, while denying dependence on the ‘other’, so as to reinforce the notion of separateness upon which different privileges and fates are justified. The separateness that allows for sustained oppression is constructed through the naturalizing of difference and resituating of “natural” differences in a hierarchy. From there, repeated steps are taken to ensure that maltreatment is not understood to be a custom kept in place by free will, but rather a consequence of facts beyond the scope of human revision. The “rational” conclusion of this logic is that oppression is in the interests of the dominated as well as the dominator, or that marginalized folks are to blame for the misfortune of their oppression, which they should gratefully view as their only pathway to empowerment. We see such logic in political speech each time an otherwise innocent “evil doer” is used as cloak and cover for any number of overt and systemic offences by the oppressor. Such discourses underscore the logic of the slave trade, rhetoric of the Nazis, and closer to home, in the decades long attempt to “kill the Indian in the child”. It was 1946 when George Orwell described political speech as “the defense of the indefensible”. He went on to prescribe rules for writing, so that politics might involve less obfuscation. However, in an age of climate catastrophe, economic volatility, and readily available information about these matters, perhaps what we need isn’t simply straight talk, of which there is some, but clear thought, of which there appears to be much less. Contrary to popular belief, technical and procedural innovation are not inevitable. Both are curated responses to environmental factors. Without clear signals, and the ability to perceive those signals clearly, bureaucracies, businesses, nonprofits, and the lawyers who serve them, can remain locked in to ways of operating that run them into the ground. Consider path dependence, which occurs when technologies follow paths that are difficult and costly to alter, resulting in the persistence of inferior technologies despite competition from superior substitutes. Here, change is cheaper and better than remaining on the same course. However, the psychological burden of change displaces the value of scientific data in the psyche of decision makers — chiefly through defense mechanisms such as denial about the viability of the new path and rationalization that old paths involve less hardship, so as to compensate for the anxiety of transitioning to an unfamiliar product, service, or process. Examples include the prominence of billable hours as a revenue tool, in place of flat fees or blended rates; oversaturation of legal services in urban centres relative to rural areas; underuse of diversion programs for young offenders where appropriate; a rigid reliance on adversarial dispute resolution methods, and so on. For these reasons, rising above the mental habits that make it difficult to adapt and innovate is a crucial skill that law students must learn in tandem with the law itself. What Is Life Skills Education? The first lesson, among many, is in learning to quiet the mind. The latest neuroscience research tells us that deep relaxation is a prerequisite for rewiring pathways in the brain, for making lasting changes in our lives — whether related to improving mental health, reducing chronic pain, recovering from addictions, or developing the capacity for objectivity. That’s why it’s important to learn to suspend our active thinking through practices such as meditation, and engage in activities that foster deep reflection. It also explains the findings of environmental psychologists — that students perform better in math and science when time in nature and creative pursuits are part of the curriculum. Such cultural habits were once commonplace, when we were a society of farmers who worked the land, practitioners whose faith necessitated regular pilgrimage to sacred spaces, or tradespersons of any kind. Silence, reflection, time alone, and rest were built into and around the work of life. Today’s cultural habits, on the other hand, increasingly revolve around time spent hunched over electronic devices and in a state of perpetual alert — practices that are the least conducive to depth of awareness, character, and social impact. But we don’t need more research to tell us that — we need only to listen to our intuition and pay attention to our own experience, which are valid methods of inquiry despite not been subject to placebo controlled double-blind randomized trails. While the field of neuroscience is relatively new, the cognitive capacities it aspires to illuminate have always been part of the human brain. The term self-actualization, for example, might also be understood as the cultivation of neuroplasticity through a combination of sustained contemplative practices and the will to act on the awareness that emerges through those practices. This conceptual pairing of silence and growth is shared not only by yogi’s walking the eight-limb path or transcendentalists such as Emerson and Thoreau, but by legal philosophers as well. Socrates, father of the Socratic method so venerated in legal pedagogy, was also an advocate of whole brain education. For Socrates, the power of constant inquiry lay not in testing students’ capacity for memorization or left brain gymnastics, but in facilitating the systematic undoing of defence mechanisms that cloud human judgment, so that, in the words of Jacob Needleman, the ‘inward work of democracy’ could begin. For both Socrates and later Plato, to be a philosopher or lover of wisdom, was to achieve the inner freedom to move between hemispheres of the brain, drawing on the precise interplay of epistemologies necessary in any given moment, to identify and act on the truth. Right Brain Education Is Not A Luxury. Rather than a privilege of those without the weight of systemic oppression bearing down on them, self-discovery is the right of every person. As is its corollary, self care. By self-care, I do not mean work-life balance, or the fantasy of a life lived in perfect ratio. I mean doing what you need to be doing to nurture your relationship with your deepest self, on a daily basis and in the midst of all the wonderful and catastrophic happenings around you. Finally, contemplative practices are NOT an opiate encouraging legal professionals to accept the community breakdown, environmental destruction, and wealth polarization we might otherwise mobilize to rectify, but the wellspring of resilience that sustains such work. Who Is Life Skills Education For? Do you ever find yourself thinking one thing and saying or doing another? If you answered yes, it’s for you. Acknowledging the need to learn how to better navigate our emotional lives, so as to realize our full potential as human beings — is an opportunity for growth, not a failure. There is no shame in developing your whole brain. There is only the tragedy of living half a life. Where To Find Whole Brain Curricula? The Canadian and Ontario bar associations offer a robust set of counseling and mental health supports to their members, as do many law schools. That’s a great start but it’s not as good as incorporating life skills education into law school curricula itself. Some schools, such as the Schulich School of Law at Dalhousie University, have begun to include full term “Mindfulness in Law” course offerings. This too is inspiring, but mindfulness-based stress reduction (MBSR) differs from the life skills education proposed in this essay in two ways. First, MBSR involves selective applications of concentration to bring users into the present moment, through body scan techniques for instance, rather than freeing the broader awareness in which all things are apparent, for what they really are, in real time. Secondly, there is no benevolent self in MBSR. Instead, participants seek to cultivate qualities such as kindness and patience if they choose. The subtle difference is this: in MBSR participants learn to ride the wave of an ever-changing reality without being attached to the changes; whereas in the transpersonal approach, they learn to identify with a changeless centre amidst the ever-changing reality, while also developing the ability to recover from life’s ups and downs and the wisdom to know when and how to intervene therein. In other words, MBSR is but one facet of right brain education. While its impact has been profound, the true work of transformation is even more so. Law students, our clients, and societies deserve nothing else. Paramedics, firefighters, and nursing students across the province seem to agree. Members from each group are participating in a professional development initiative offered by Fodor, in partnership with universities and teaching hospitals across South Ontario. Fodor and her facilitators guide particpants through a self-realization process — increasingly at the undergraduate level and for academic credit. The program has 4 pillars: self acceptance, self care, self responsibility, and self change. Law schools should draw inspiration from such projects and from administrators who’ve dared to reconceptualise patient centered care as a process that begins with provider centered growth. Lessons in quieting the mind, deep reflection, and being accountable to ourselves, must be explicitly present in the curriculum, rather than offered as optional programming for those with time to spare. What law students need is seminars that engage their right brain faculties, alongside first year criminal, property, tort, contract, and constitutional law. Rather than shortening law school to 2 years, as some have proposed, let us use the immense time and money students presently invest in their third year of school toward a whole brain education. Cynicism is a popular affectation. As is false hope. Both are emotional responses to the knowledge that justice, freedom, love, and happiness exist in the world, but are absent from our own lives. Though understandable, uduly negative or positive thinking are forms of learned helplessness that impede our ability to evolve and innovate. Realism on the other hand, precludes neither a heart-swelling vision of how we might live, nor a heartbreaking understanding of how far away we are from doing so. 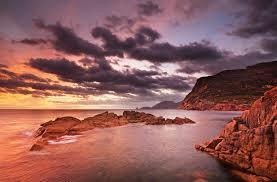 It asks only that we hold both the wholeness and brokenness of the world in our conscious awareness at the same time. When we do, it is apparent that we have a choice between practicing law in ways that amount to fighting over the broken bits of dying systems, or creating holistic solutions to complex problems by drawing on the design thinking necessary to resolve twenty-first century challenges. Complex problems, however, tend to have paradoxical solutions. And living in paradox requires using both sides of our brain. On Friday November 28th, 2014, a group of students at the University of Toronto Faculty of Law sat down for a presentation and Q&A with Doron Gold, former practicing lawyer and psychotherapist with the Law Society of Upper Canada’s Member Assistance Program*. How can I create a supportive community for myself and my friends? What do I say when friends or classmates are focusing on unhealthy thoughts; being judgmental; catastrophizing or panicking about exams or jobs? How can I create a healthy environment for myself? When should I speak to a professional (student services professional, therapist) or encourage a friend to speak to a professional? I’m already tired and stressed. How can I turn things around and start to feel better when I have no energy or motivation? Read on for Doron’s responses! To read about Doron’s presentation on isolation and unhealthy perfectionism in the law, check out Part I.
Q: How can I create a supportive community for myself and my friends? 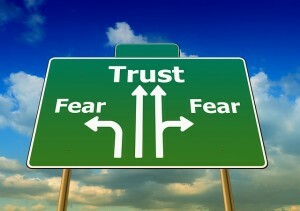 A: Create a circle of trust and allow yourself to show vulnerability around friends that you trust. Try to create a safe space for vulnerability by maintaining a non-judgmental, open attitude. Ups and downs are natural part of life; allow for this in yourself and your friends and try to support one another to practice self-care and take it in stride. [JB: It goes without saying that disclosures made in this manner must be kept confidential and treated with respect. If your friend seems very overwhelmed or distressed, or you haven’t heard from them in an unusually long while, you may want to reach out and ask, with compassion and using open questions that invite comment, if everything is okay. Don’t worry about giving advice, just express non-judgment and be an attentive listener. Know your boundaries but respect your friends’ boundaries as well – – you can suggest referrals if your friend is experiencing a great deal of distress, but it is better if they ask about this information. Q: What do I say when friends or classmates are focusing on unhealthy thoughts; being judgmental; catastrophizing about exams or jobs? A: You can’t control what other people believe, and consequently, what they say. You can only control your own thoughts and actions. Speaking up and expressing your countering views, to bring balance to the discussion. For example: “I don’t think that doing poorly on one exam will ruin your chances for professional success forever. Many students who aren’t the best students in law school go on to become very successful and competent lawyers”. Ask the friend or colleague, respectfully, to refrain from discussing the particular situation around you. 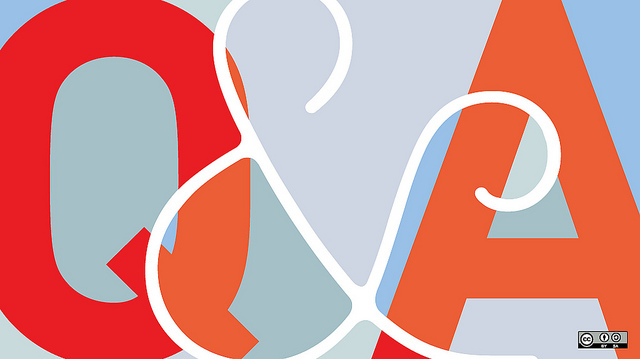 Q: How can I create a healthy environment for myself? A: It is important to practice “deliberate, active self-care”. Instead of seeing the time taken to eat healthy meals, exercise, or connect with loved ones as wasted study time, see it as an investment into peak performance. A top athlete wouldn’t train for a big competition by eating junk and sleeping poorly. Deliberately departing from the top athlete analogy, consider “good enough” instead of perfect. What would be a “good enough” performance for you? How you feel about events is as important as the events themselves, and can help you ease pressure that may be largely internally generated. Consider context. Ten years from now, any exam or paper will be a distant, likely unimportant memory. Try and take a step back to see the big picture: law school is a means to an end, not the end itself. What is the “end”? Ultimately, to live a meaningful and fulfilling life – – and law school is just one part of this journey. Think about the other aspects of your life (friends, family, community service) – these are important too. Q: When should I speak to a professional (student services professional, therapist) or encourage a friend to speak to a professional? A: It never hurts to speak to a professional if you are experiencing distress – they can often help you improve the way you deal with life’s stressors. However, if you begin to feel that your distress or your life is getting out of control, you may want to seriously consider speaking to a professional. Early intervention is ideal but it is never too late, nor is the situation ever too far gone to seek help! Anxiety, depression, procrastination and other mental illnesses can become especially problematic during times of stress. Be mindful of your mental health during especially stressful times. Although some stress is natural and even healthy, you should consider seeking help if the stress becomes overwhelming. Q: I’m already tired and stressed. How can I turn things around and start to feel better when I have no energy or motivation? A: Make incremental changes – don’t be perfectionistic about improvement! Pick one small habit or practice that you think will improve your well-being. Really commit to doing this one thing over a determined period of time and do it deliberately. It can be eating one extra serving of fruit or veg, exercising for fifteen minutes (or even showing up at the gym), taking a walk, cutting back on one coffee per day; whatever you think would be helpful to you. Even the tiniest changes can eventually have a huge impact – – negative momentum has a tendency to perpetuate and making a small, positive change can turn this around into positive momentum. A person who is feeling unwell often feels disempowered and believes that change is not really possible. Successfully making one change, regardless of how small, can build a belief in the possibility of change and build capacity for further changes. To read about Doron’s counselling experiences with isolation and unhealthy perfectionism in the law, check out Part I. *Doron Gold works with Homewood Human Solutions, which administers the Law Society of Upper Canada’s Member Assistance Program. MAP provides free, confidential mental health and wellness services to law students, lawyers, judges, paralegals and immediate family. To view the Q&A with Doron, please see Debunking the Law Student Lone Suffering Myth, Part II – Questions and Answers [coming soon]. Doron Gold has had hundreds of legal professionals confide in him. He is a long-time staff clinician with Homewood Human Solutions, provider of the Law Society of Upper Canada’s Member Assistance Program, which provides free, confidential mental health and wellness services to law students, lawyers, judges and paralegals. In his role, Doron receives telephone call after telephone call in which legal professionals ask some variant of this question: “am I the only one experiencing depression?” Am I the only one suffering from anxiety, addiction, bipolar syndrome, ADHD, deep and general dissatisfaction with life? The frequency of these calls combined with their content – a vast number of professionals feeling completely alone in their distress – was near “absurdity”, says Doron. Doron chalks it up to a perception among many legal professionals that perfection is required for success in the law. Lawyers are imperfect, as all humans are. However, some lawyers perceive that everything matters at all times – – that any mistake is irredeemable. Life can also be unpredictable. It is unfortunately not unusual for a client to present after suffering a professional setback, the loss of a parent, and a serious health issue in short succession. Often, such clients perceive that they should be coping perfectly with such serious setbacks. They may perceive that others are not struggling, regardless of their life circumstances. This perception that perfection is required at all times leads to a lack of trust between peers and colleagues and a fear of appearing weak or incompetent if vulnerabilities are exposed. Therefore, legal professionals don’t talk to one another about these issues. Consequently, they feel needlessly isolated. These unhealthy beliefs often begin or are exacerbated in law school, which is why Doron believes strongly in early education and intervention. 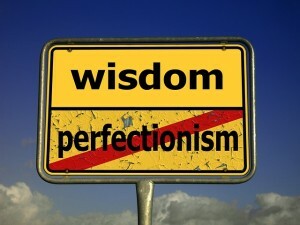 Unhealthy perfectionism can extract an immense toll, sucking the joy and vitality out of an otherwise comfortable life. 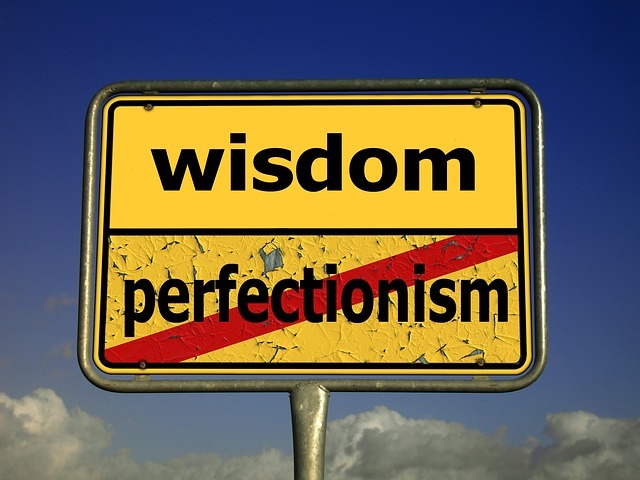 Perfectionism is about remediation and leaves no room to celebrate the good. Doron recalls one recent client (details have been changed to preserve anonymity) who painted a poignant portrait of the very real, negative impact of unhealthy beliefs. The young woman in question was accomplished; highly educated; professionally successful and respected by her colleagues; in good health; attractive; had a loving partner, family and friends. By all objective accounts, her life invited contentment. Nevertheless, she described a constant existential dread arising from the fear that her string of successes couldn’t possibly go on. She worried that she might be fired; that her partner might leave her; that something might go terribly wrong. Her energy and motivation were constantly sapped through worry. Something had to change. Doron combats this kind of unhealthy thinking by encouraging clients to test distressing thoughts and beliefs with concrete evidence. He asked the woman to consider whether there was any evidence she was doing poorly or would do poorly at work (there was none); whether there was any evidence that her partner was unhappy (there was none); whether her belief that disaster lurked around the corner was supported by evidence (it was not). Gratitude journals, he suggests, can also help retrain a mind that tends toward pessimism to take a more balanced view of life. Challenging core beliefs and keeping a gratitude journal are two cognitive behavioural therapy (CBT) tools which aim to unearth maladaptive beliefs and challenge them, thereby changing the filter through which events are interpreted, the thoughts and feelings evoked, and any behaviours that result. The goal is to replace maladaptive beliefs with adaptive, more realistic beliefs, resulting in an improvement in feelings and behaviors. CBT can be done with a therapist through your university, through the free e-counselling or in-person therapy provided by the MAP [requires registration], or with private therapists [bottom of page]. There are also self-paced online CBT resources that you can work through independently. The comprehensive multi-module programs available at the Centre for Clinical Intervention can help manage depression, distress intolerance, panic attacks, procrastination, social or generalized anxiety, or perfectionism. CBT is just one approach to help minimize the distress experienced by “lone sufferers”. In the following Q&A, Doron also discusses how to create a supportive law student community, how to know when to seek professional help, and how you can make positive changes, even if all your energy seems occupied in just keeping up. This post was adapted from a presentation given by Doron Gold to students at the University of Toronto Faculty of Law on Friday November 28th, 2014. I did it! I got into law school. Wait, how am I going to tell my wife and kids? As anxious as I was about getting into law school, it was explaining my decision that was the hard part. Just as I was reaching, what could have been, a stable point in my professional and personal life I risked it all on law. In many ways law school has been beneficial for me; in terms of the education I’ve received, the career opportunities I’ve been able to take advantage of, and some very wonderful and like-minded people I’ve met. However, in other significant ways law school has changed me from a person who was relatively healthy to a person who is unwell. During my time in law school, I have developed increased stress and anxiety around my grades, my career, my finances, etc. The structure of law school is one that fosters competition, exclusivity, and contentious behaviours among students and sometimes even professors. It takes students who are all accomplished in their own right and accustomed to over-achieving, and puts them in classes where only a handful of them will get A’s. It subjects students to the pressures of OCIs with few alternatives (and the alternatives that are presented are made to feel second-rate). It advertises the names of prominent downtown law firms on its walls, classrooms, and even on the back of t-shirts that first-years are told to put on the minute they arrive, all of which serve as a daily reminder that those careers are our goals and anything less is a failure.